As your heating system ages the pipes and radiators will get clogged with any of the dirt and debris that’s suspended in the water that heats your home. These blockages eventually snowball and turn into a kind of sludge that means your heating just won’t work as well. Our powerflushing equipment can literally scour these blockages away and leave your pipes like new. To perform non-invasive leak detection investigations on your properly or in layman’s terms we can find that bothersome leak no matter where it is and we don’t have to dig holes to do that. 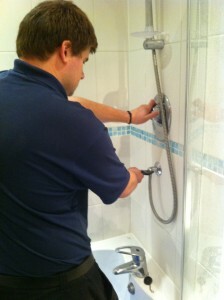 And once we find the leak we can then repair it in our own professional way. Why not call our customer care team FREE on 0800 731 3848 and talk to us about your heating and plumbing woes.